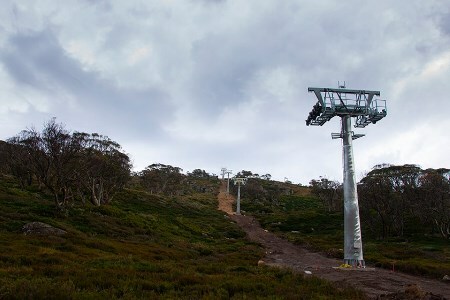 The Australian resort of Perisher has successfully completed the installation of six lift towers for the AUS$4.2 million Leichhardt Quad Chairlift, due to open for the 2019 winter season. The lift, which replaces the Leichhardt T-Bar, will increase lifting capacity in the area by 75% and is intended to improve access to several popular runs for children and beginners. Snowmaking infrastructure is also being installed from the bottom of the Happy Valley T-Bar to the load of the new quad lift. The resort has said the construction team will now focus on station masts and bull wheel installation, alongside the construction of the operators’ huts at the top and bottom stations.